Various cities in the state of North Carolina have been identified by the U.S. Department of Justice as High Intensity Drug Trafficking Areas (HIDTAs). The cities so identified are within the Research Triangle of the state, which consists of a region in the Piedmont anchored by three colleges – North Carolina State, Duke, and the University of North Carolina at Chapel Hill – and the cities of Raleigh and Durham, as well as the town of Chapel Hill. The Triangle, as the area is popularly known, is particularly problematic as it regards issues related to trafficking. DTO access to the colleges worsen the issue. However, though not in itself identified as a HIDTA city, Greensboro’s proximity to the surrounding Triangle cities makes it a vulnerable hub to drug trafficking, and subsequent abuses. If you live in Greensboro, and have fallen victim to substance abuse don’t hesitate to seek treatment. There are enormous resources in at your disposal. Though not listed as a HIDTA region in North Carolina, nonetheless Greensboro is particular vulnerable to trafficking and abuse due to its proximity to Triangle colleges, interstate highways, and a sprawling downtown area. Heroin and prescription opiate usage continues to evolve. Pot remains popular, as does cocaine. Alcohol is prevalent, most especially in the downtown Greensboro area. Fatal car crashes in the city are approximately 49% alcohol-related, per 2017 statistics. DTOs are prevalent throughout the state. The incontrovertible truth of the addict is such that most any drug can be had for a price. Whatever one needs, or craves … or wants, an addict will find. As mentioned earlier, help is a phone call or treatment center visit away. Always do your own research to find what is best for you, and use the above resource listings as a base. Many of the centers previously mentioned will accept Medicaid and Medicare, or cash. Many will also work with you in terms of financial assistance. Do your diligence first, and then pick up the phone. As ever, true recovery begins with the acknowledgment that you have an issue, and then seeking help for that issue. The city itself is the third most-populated in the state, and the 68th most-populated in the country. Greensboro is the county seat of Guilford County, and its largest city. Greensboro is also the largest city in the surrounding Piedmont Triangle’s metropolitan area. The present population is estimated at close to 290,000. The city has an area of 131.8 miles, of which a 5.3 miles is water. Downtown Greensboro has attracted development investment since the early part of the decade, which has enabled the former depressed Southside area to be substantially redeveloped. Today, downtown Greensboro is rich with arts and related culture, nightclubs, and restaurants. Bars are highly popular in the vicinity, and public transportation is readily available. The Greensboro economy and that of the surrounding Triangle are strong. Furniture, tobacco and textiles are the largest industries. City leaders continue to work to attract tech industries to the city. Nearly 11,000 people are employed by the Guilford County Public Schools. The most commonly abused opioids in Greensboro include methadone, heroin, and prescription painkillers such as Vicodin, OxyContin, and Percocet. Heroin has become especially popular within the Triangle area, accounting for the city’s fastest-growing drug scourge. Greensboro follows the statistics of North Carolina as a whole when it comes to substance abuse. As a HIDTA stronghold, the state’s illegal Hispanic immigrant population continues to grow, though this is not a notable issue in Greensboro proper. However, the continued influx of Hispanic nationals has been largely blamed for the state’s increased drug activity, the majority of such activity said to be due to Mexican-related trafficking. The most common Drug Trafficking Organization (DTO) transactions are methamphetamine and marijuana, slightly-increased heroin activity year-to-year – with mainly older users – and cocaine. Ecstasy remains an issue, but appears to be primarily confined to area dance clubs. LSD and GHB are also similarly available. Pot is ever-popular, and as with most areas in the U.S., the gaming of medical marijuana laws is prevalent, as is illegal purchase and carry. The city’s Caucasian population is the most common user of the above drugs, at nearly 65%, followed by African Americans at an estimated 30%. North Carolina’s interstate highways are appealing to traffickers, and the state is a destination point for DTOs. Meth lab seizures exceeded 500 in 2017, and the drug continues to be on the rise in the urbanized Greensboro. Colleges are prevalent for substance abuse, especially in fraternities. The quote brings up something valuable, and not always considered. Jails around the country, typically outside of Greensboro, however, are filled with drug abusers, in addition to traffickers. We will not take on the debate here, as this is a national issue. That said, we will always advocate for addicts, and those with mounting drug or alcohol problems. We will enforce, as we always do on The Recover, the abject importance of getting help for your problem while you still can. Greensboro has something in common with the majority of smaller U.S. cities today, in 2018: The growing and evolving epidemic of heroin and prescription opioid abuse. In a recent article, we had discussed the price-fix of Narcan (Naloxone) in the state of Ohio, the only state in the nation to take that measure. Narcan reverses or ceases the effects of a heroin or opioid overdose. While the current controversy in Ohio revolved around the end of the price fix and the increasing inaccessibility (due to lack of affordability) of the medication to counter its own heroin and opioid issue, in Greensboro, North Carolina, police, fire and EMS all carry Narcan. As of January of 2016, in fact, all first responders carry Narcan. First responders encourage self-help options following a Narcan treatment. 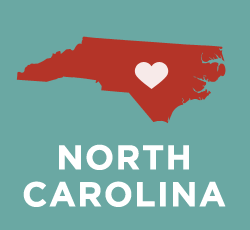 North Carolina law is such that under certain conditions related to voluntarily getting help, the overdose victim will be protected from prosecution. The caller or abuser must provide their names to law enforcement or EMS to qualify for the legal protections. Ongoing overdoses and consistent civil damage may disqualify one from these protections. Also, anyone who refuses Narcan may be similarly reconsidered. Further, Greensboro – and North Carolina proper – is known, and applauded, for their use of Safe Places. Yellow and black signs, similar to traffic signs, are in view on numerous local city streets and highways. Such Safe Places are primarily targeted to young people, and they are centers for those who have been abused, or who have run away, or who are battling substance abuse issues. Safe Places also work with the young person to better handle issues related to personal depression. They are not doctors, though Safe House staff will help you contact a doctor if necessary. Within the city’s many Safe Houses are city employees or volunteers who can help a young man or woman find a professional suited for their problems. This solves many issues. First, a young person does not have to expend the time looking online for helpful resources, nor calling anyone on the telephone. They walk to a Safe House, and the trained staff will work with them until an appropriate professional is located. Or, the young person in crisis can simply text SAFE, and their current location, to 69866. Note: Safe House staff has been trained by Youth Focus (see www.youthfocus.org for further information), a non-profit agency that helps Guilford County’s young residents confront their issues. Their staff is comprised of medical professionals and therapists, all well-versed in treatment. You can find pre-intake sample applications online. In this case, as with any other self-diagnostic tool, the questions as asked are exploratory only. You must speak to a trained and licensed professional for any true diagnosis. Still, such online tools such as a pre-intake questionnaire can be extremely useful. If you can honestly answer those questions, you may be validated, or you may dislike your responses. If you were drawn to the tool, likely both will apply. Regardless, consider your results, and then take necessary action. There are pros and cons with online resources such as these, particularly when it comes to completely basing your treatment decisions on your own responses. That would be a negative, as remember, such questions are guidelines only without a trained professional to analyze your answers. Regardless of whether such questions are based on true-life examples of treatment center queries (they usually are), you may not be the best arbiter of your responses. Most especially if you are under the influence of any drug, or alcoholic drink. On the positive side, if you can be truthful with your answers, such online questions will certainly provide a glimpse into your condition, and the need for help. Kudos to you for checking such online resources to begin with. That’s certainly a proactive start. A quick note: Even if you don’t believe you are addicted, but are concerned that your usage is growing, help is out there. You do not have to be on the far side of addiction to reach out to various resources on The Recover. In the same spirit, if you are drawn to use, but have not yet, The Recover provides resources available to you as well. It is never too early, nor is it ever too late. These are tools that have been formed for reason, and they are there for you. Many addicts, or users with a problem whose usage is not yet defined as an addiction, make the mistake of not taking the first step towards sobriety as it regards intake. If you need help in making an informed decision as to what treatment method is right for you, we cannot encourage you strongly enough to, again, speak to family and/or friends who have been there before. Sometimes, a user has a difficult time making such decisions with a clear head. And once more, if you know of no one who has been through these issues before, please contact one of the centers as listed on this page. Also, we encourage you to ask yourself a few questions: 1) What is holding you back from getting help? 2) Do you believe you have a support system? If so, do you feel comfortable contacting them and speaking about your problem? If not, would you feel more comfortable contacting a professional? And 4) Do you believe you are capable of making an informed decision as to your treatment? If yes, you are well-advised to take advantage of one or more of the resources here. If no, you are strongly advised to contact one of the phone numbers listed here, and discuss your reservations. Again, they are there to help. During the intake application process, you will be required to list your prescription medications and days and times taken (if “none,” you check “none”), an authorization of medical care, a list of allergies or other medical issues, and a waiver of responsibility. Some applications ask more. A physician or treatment center representative will then review your application for the proper steps, and treatment. If you have come this far, kudos to you. You have taken a major step towards reclaiming your life, and your potential. The concept and practice of detox is typically broken down into three distinct phases: Evaluation, Stabilization, and Transition to Inpatient Drug Rehab. Evaluation: As overseen by a doctor, who will determine what drugs are presently being used, how long has the patient been using, and how much and how frequently the patient uses. Stabilization: Stabilization differs patient to patient, based on specific substance being abused. This is the end result of the withdrawal phase. Transition to Inpatient Drug Rehab: Many addicts believe that once they complete withdrawal, they are finished with their treatment. That is a dangerous belief, as withdrawal only releases the immediate physical hold of the substance. Communication is key. Some users are resistant to treatment, most especially when in a treatment center against their will. In this instance, your communication with your specialists will be at risk. Remember, they are there to help you. You have the freedom to ask questions, and the right to receive answers. That is one of the benefits of treatment, a better understanding of your illness. Inpatient treatment is frequently misunderstood, as there are several options available to the user under that umbrella title. Many people believe the term to refer to only hospital treatment. Or, only highly-restrictive treatment. In reality, it is neither. Inpatient treatment can either be PHP (a partial hospitalization providing a highly-structured environment, with typically active treatment of 30 hours per week), the less-intensive IOP (intensive outpatient treatment plan, which requires up to three hours daily over 3-5 days, for a total of nine hours weekly; therapy is usually included, but the patient can live either at their own home or a halfway house during the process), and an RTC (residential). Though you may be the best determinant of the degree of inpatient recovery resources best suited to your needs, frequently one may need the help of family or friends to help you more clearly identify the treatment options that are most prudent for your needs. From there, only your personal commitment will determine your success. Frequently, a user has little structure outside of the treatment center. The user is more interested in the high than by scheduling their day via their clock. The structure of PHP treatment, particularly, may be a challenge for some. But, if you allow the treatment to take its course, the end-result can exceed your most optimistic hopes. So ask yourself: “Do I do well in a structured environment?” “Am I functional in a structured environment, or will I have a better chance to succeed with something less restrictive? As ever, a user if not always the best determinant as to treatment. If a user is high while making the decision, that will be in no one’s best interests. It’s time to commit, with as free a sense of mind as possible. Outpatient treatment is a comprehensive approach to wellness, and no less impactful than inpatient services. Please research the importance of outpatient treatment resources on The Recover, or speak to loved ones who have been through the process. Recovery is an ongoing process, which requires a substantive lifestyle change to avoid the ever-present threat of a relapse. Let’s discuss a bit further. Outpatient treatment allows the patient a certain level of responsibility to remain clean while outside of the treatment center. You will face temptations but will have also learned specific strategies as to how to deal with them. It is up to you to take advantage of those lessons. There is a certain degree of trust on the part of the outpatient treatment administrators that the user will remain clean, and at the same time outpatient treatment allows for the user to remain productive on the outside while still receiving help. If you work, you can schedule your outpatient appointments or check-ins after hours. One very important point, though, under this or any treatment circumstance: The entirely of your treatment is a commitment. Outpatient or not, if you miss one appointment you will likely miss another. That is a recipe for failure. What you allow, you encourage. There are fewer reasons to succeed: Yourself, first of all, then your loved ones (your collective of family and friends). Which means more to you? The pain of the commitment to get well, or the pleasure of using? If you answer the latter question as your affirmative, consider those loved ones who care about you, and worry about you. On that note, let us elaborate upon the concept of commitment for a moment. Some users resent the term, thinking many of those who do not use, or who are not otherwise plagued by addiction, tend to believe commitment is that much easier than it truly is. How can a user commit to anything at all, one may ask, much less treatment if said user is overwhelmed by their addiction? It is very difficult. Really, it is. But you can do this. You can reclaim your life, as none of us are defined by our addictions. Not all sober houses or aftercare facilities are created equal. However, you will frequently be surrounded by others in a supportive and understanding environment, others who have undergone similar difficulties. There have been several popular television shows on various networks over the last decade that have dramatized the sober living experience. We suggest that you watch with caution, as several of these shows contain scripted elements that do not necessarily give a positive view of what could be a positive experience. We’ve seen users looking forward to attending sober houses for all the wrong reasons. The sober house experience is an often integral part of your overall treatment. But, it can be as abused as the substances for which you have been admitted. You will live among others in a place away from your home. A sober care facility will actually be your new home until you leave. Others can influence you, so be sure to implement your lessons learned throughout the process to this point. What is a Sober Life? Ultimately, a sober life is a perspective. Seeing hope and possibility is something a drug addict cannot do. Caring for others and be willing to help others is something a drug addict cannot do. Giving up is something a drug addict does, but a sober person does not. Sober living is simply finding the will to live. The goal of all rehabilitation from intervention to aftercare, is to save a person from their own negative perspective. Drugs define a world of abandonment. All rehabilitation centers, whether offering inpatient or outpatient treatment strive to resurrect hope through any means possible. For a recovering person, temptations are everywhere. Sober friends still like to party on the weekends and their activities are filled with risks that can lead a recovering person down the path of relapse. Also, triggers never seem to never let the recovering person go and must be dealt with daily. By embracing hope and the help offered in the recovery community, anyone suffering with an addiction to opioids or heroin has a chance to lead a sober life.